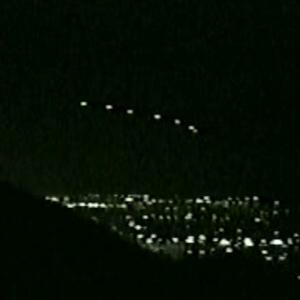 The Phoenix Lights was a UFO sighting which occurred in Phoenix, Arizona, and Sonora, Mexico on Thursday, March 13, 1997. 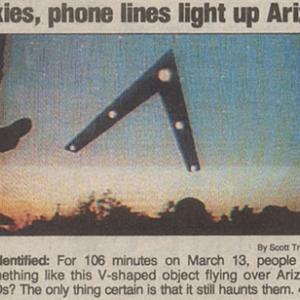 Lights of varying descriptions were reported by thousands of people between 19:30 and 22:30 MST, in a space of about 300 miles (480 km), from the Nevada line, through Phoenix, to the edge of Tucson. 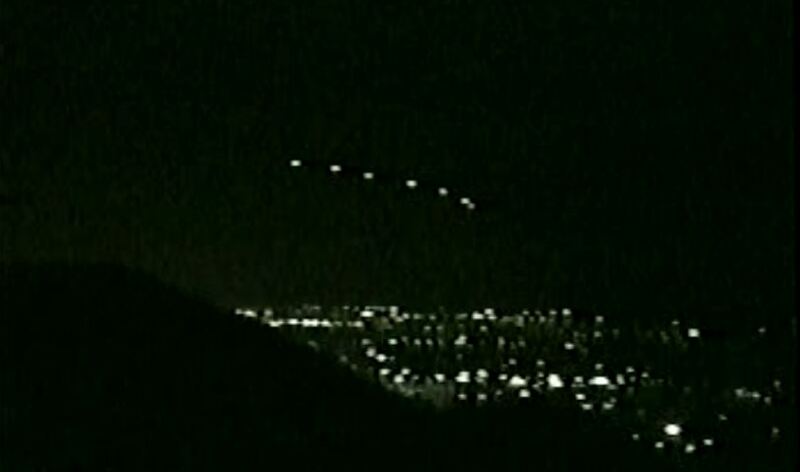 There were allegedly two distinct events involved in the incident: a triangular formation of lights seen to pass over the state, and a series of stationary lights seen in the Phoenix area. The United States Air Force later identified the second group of lights as flares dropped by A-10 Warthog aircraft that were on training exercises at the Barry Goldwater Range in southwest Arizona. 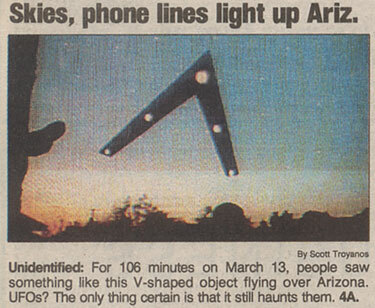 Witnesses claim to have observed a huge V-shaped (several football field sized), coherently-moving dark UFO (stars would disappear behind the object and reappear as it passed by), producing no sound, and containing five spherical lights or possibly light-emitting engines. Fife Symington, the governor at the time, was one witness to this incident. As governor he ridiculed the idea of alien origin, but several years later he called the lights he saw "otherworldly" after admitting he saw a similar UFO. Check the video documentary below for more information.